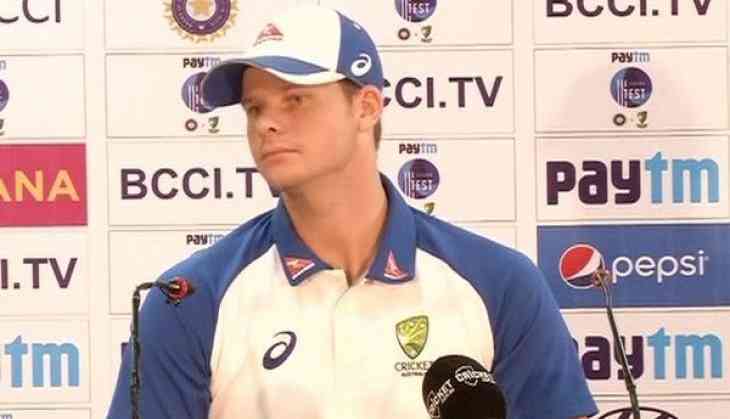 Australian skipper Steve Smith has reiterated that the players are unlikely to tour Bangladesh unless the ongoing pay dispute between warring Cricket Australia and Australian Cricketers Association (ACA) will resolve. CA chief executive James Sutherland had earlier called on the ACA to enter into a period of intense negotiations over coming days in order to resolve the ongoing pay dispute between the two governing bodies in toto. Imposing a deadline on the stalled Memorandum of Understanding (MoU) negotiations, Sutherland said that the matter would be referred to independent arbitration if the pay dispute with the players remains unresolved by early next week, with CA also pledging to abide by the umpires' decision. While expressing his concern about the delay, he also said the ongoing pay dispute had reached the point where next month's proposed Test tour to Bangladesh, a subsequent ODI series in India and the upcoming Ashes series against England are potentially at risk. Australia's tour to Bangladesh is scheduled to begin in three weeks i.e from August 22. "I'd like to, but as we've said for a long time we need to get the deal done first. I don't think it would be fair for us to go away after the [Australia] A guys were very strong on not going away on their tour [of South Africa], for us to then go away, I don't think that's fair," ESPNcricinfo quoted Smith as saying. "CA knows this, they've been told this. I told [CA's Executive GM of Team Performance] Pat Howard personally that this was how things were going to be if there wasn't a deal done," he added. Earlier, the players decided to boycott the Australia A tour of South Africa following Cricket Australia's failure to take any action to resolve a bitter pay dispute between the two governing bodies. However, CA and the ACA are in the middle of negotiations and are expected to be moving closer to an agreement. Smith, on the other hand, also said that he remains hopeful that the pay dispute between the two warring parties will resolve soon after what he described as "some really good progress" in negotiations. The Australian skipper further revealed the struggled he had faced in taking a stand of the players' union and at the same time maintaining a healthy relationship with CA management, saying that he would have preferred to remain the dispute confidential. "It's had some difficult moments. When this is all over with, I have to deal with Pat Howard, I have to deal with the (CA) Board and speak to [CA CEO] James Sutherland so I have to be careful with what sort of lines I tread. Some guys have been really vocal on social media and I think the way for me to lead in this dispute is to be able to talk to guys behind the scenes that are at the table and doing the job," Smith emphasized. Australia have not visited Bangladesh for a Test series since 2006 and the upcoming tour was originally supposed to have taken place in 2016. However, the same was postponed following Australia's refusal to tour the country because of security concerns. Players, having central contracts and state players without multi-year deals, were left unemployed after the deadline for a new MoU was not brokered by June 30. Once arbitration was agreed to, the 230 cricketers currently unemployed and unpaid would immediately be able to sign interim contracts under the terms of the previous MoU (men's players) or the new agreement that was detailed by CA last March (for women). ACA had earlier rejected the new pay offer from the game's governing body, saying the proposal will be a win for cricket administrators but a loss for the game. In March, CA made an offer, proposing that the average pay of Australia's international women's players would rise from $A79,000 to $A179,000, while the average remuneration of state cricketers would more than double to $A52,000. Under CA's proposal, only male international players would have the chance to share in any surplus revenue, while other domestic male players and women at both domestic and international level would have to settle for fixed amounts which would not fluctuate according to the game's income. However, the ACA pointed out a series of concerns with the proposal, saying that it "disrespects the value of domestic cricketers and the role they play in Australian cricket". The major reason behind the ACA 's opposition is CA's proposal to scrap a shared revenue model for player payments, which has been in place for nearly 20 years.